7-3/4" wide. 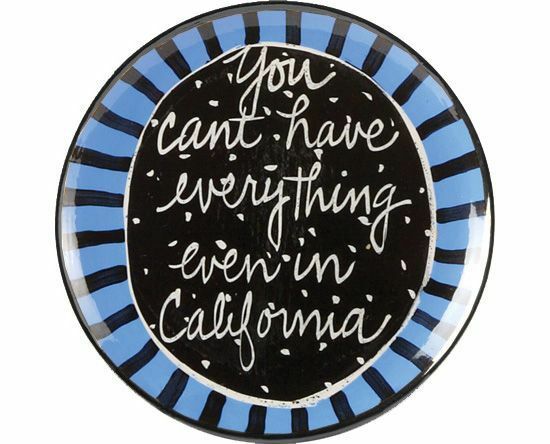 Saying reads " You Can't have everything, even in California." Why not say it on a plate! Add some whimsy to your dinner table.